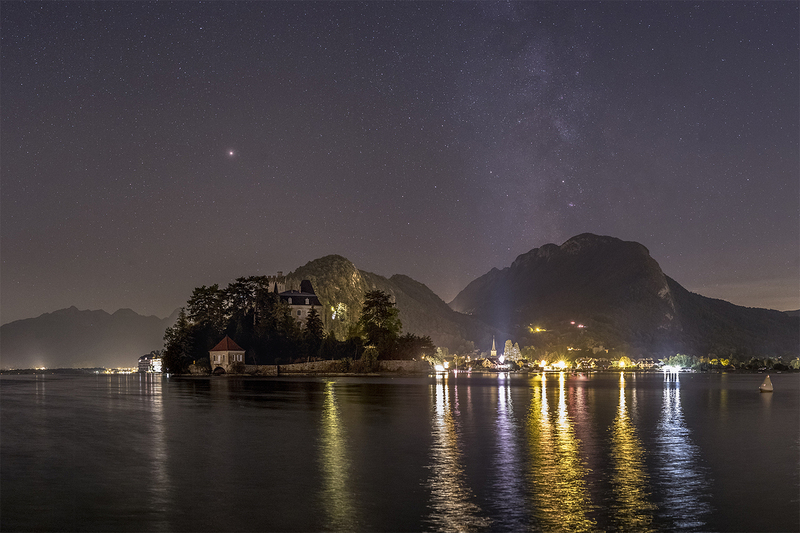 After 20 years of practice in astronomy and astrophotography, I offer the public the opportunity to share my experience of "nightscapes" that combine a landscape and its sky. 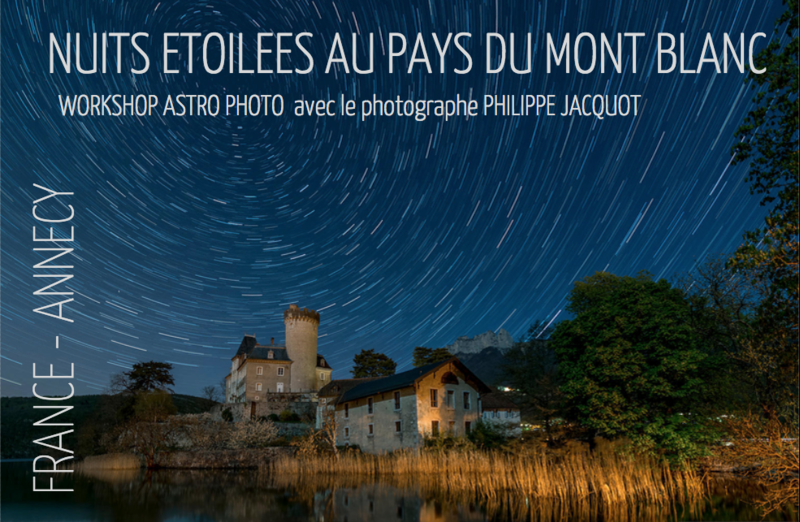 You will discover and learn the techniques to create your own celestial landscapes, whether for an evening around Annecy, a weekend in France or a longer stay under the most beautiful skies on the planet. These workshops only require knowledge of basic photographic techniques: sensitivity, speed, and aperture. Apart from this basic minimum, the workshops are accessible to any enthusiast wishing to discover or perfect nighttime photography techniques. Welcome to the Natures du Monde base camp to enjoy an astrophotography weekend. 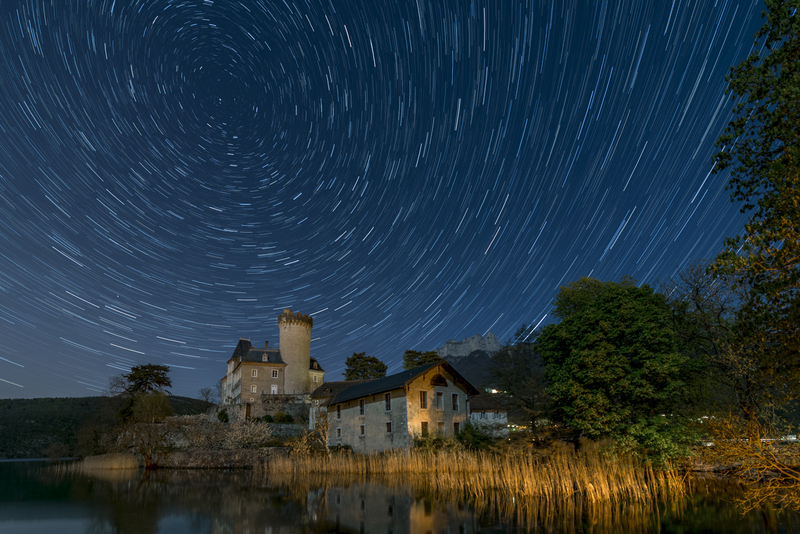 You will take advantage of this three-day photo workshop to magnify the unique celestial landscapes of Lake Annecy and Mont Blanc. 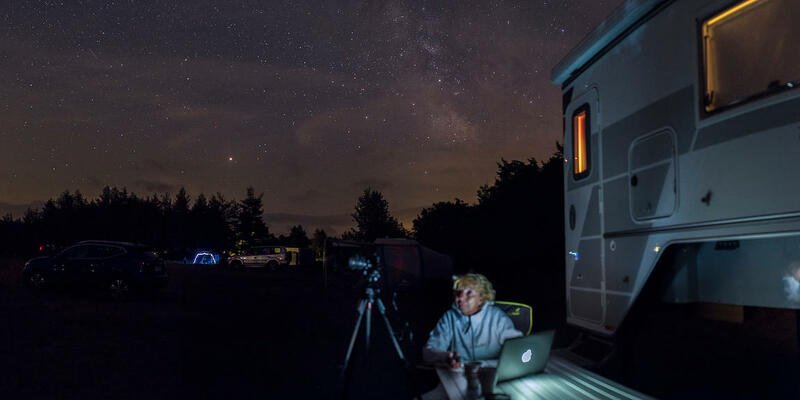 During one evening (3 to 4 hours), you will learn how to locate the constellations and create a line of stars, from shooting to computer postproduction (on site, in the work "capsule"). The workshop is limited to 2 people for maximum efficiency. Workshop discover : "Milky Way"
During one evening (3 to 4 hours), you will learn how to locate the constellations and create a Milky Way photography, from shooting to computer postproduction (on site, in the work "capsule"). Workshop inprovement : "Panoramics images"
You master basic techniques of celestial landscapes and want to go further by creating a complete panoramic image? This evening (3 to 4 hours) will allow you to discover the basics of nighttime panoramic photography, from shooting to postproduction.